Six strips of premium quality black & white felt, double stitched to rigid inner back 1/8" felt back laminated & double stitched creating full 7/16" thickness. 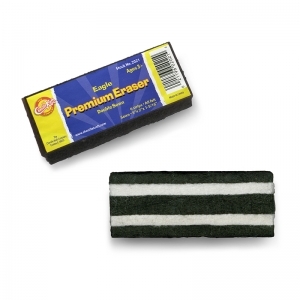 Excellent in containing excess dust. 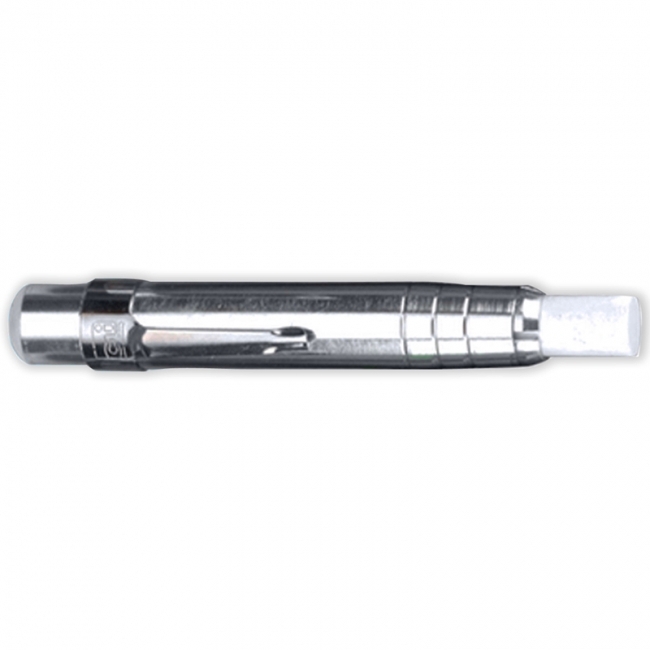 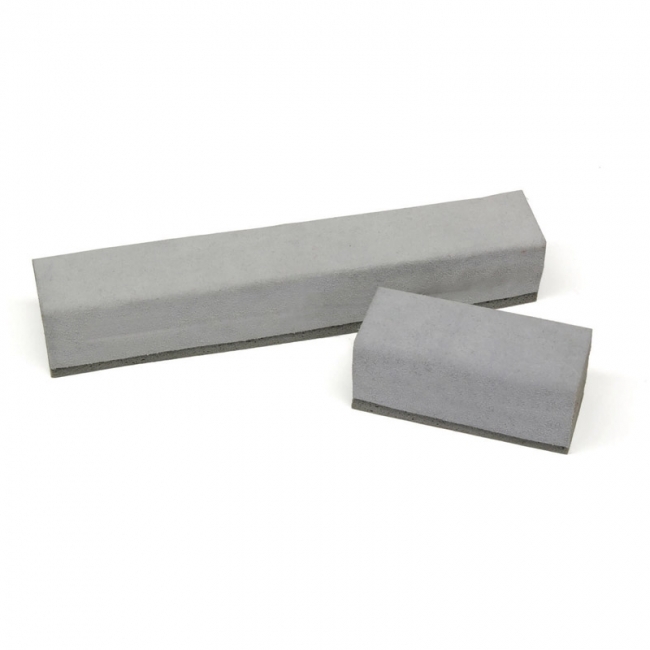 Professional style erasers are made from thick, soft cellular latex which is then wrapped with a soft, pliable suede sleeve. 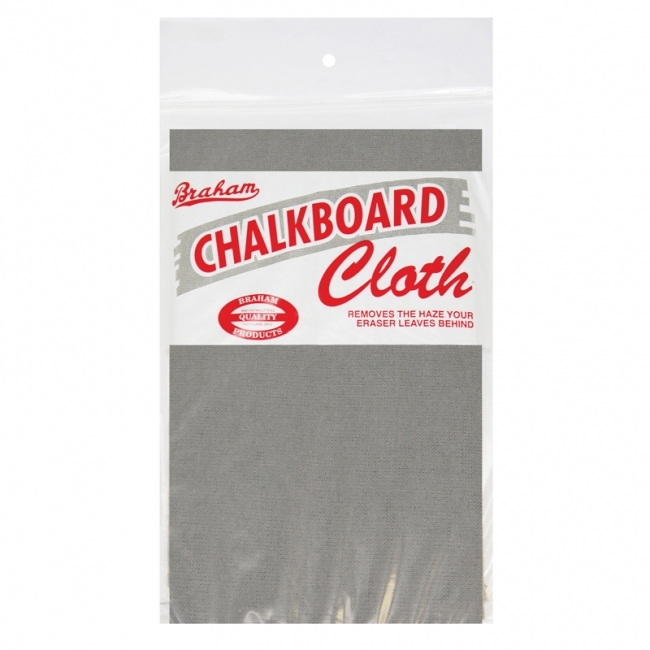 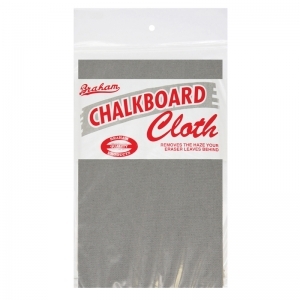 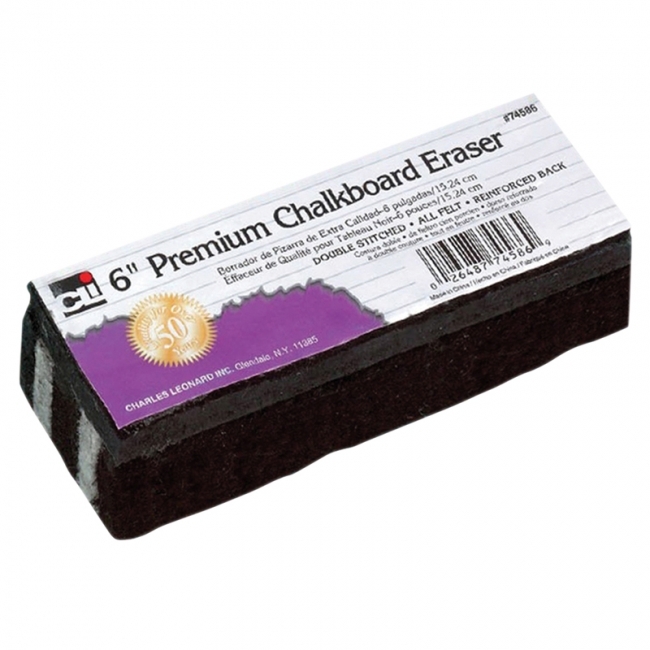 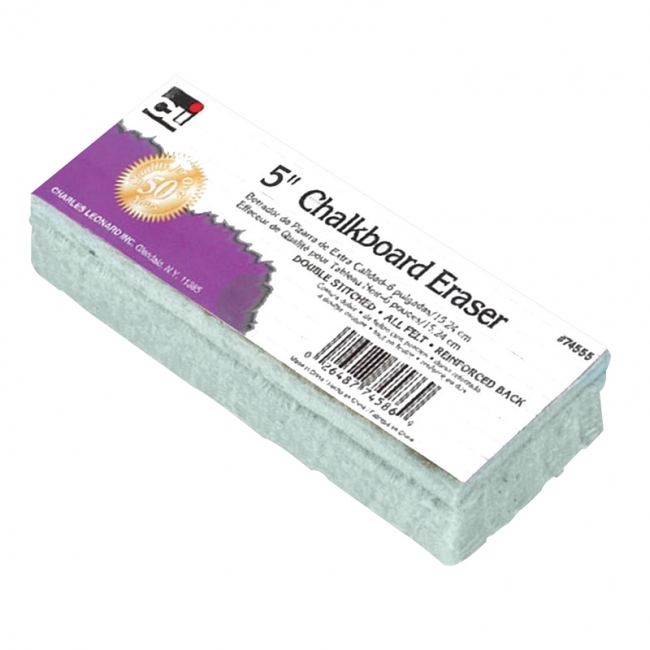 Use the latex side for everyday chalkboard erasing and the suede side for thorough board cleaning. Extremely popular all felt erasers. 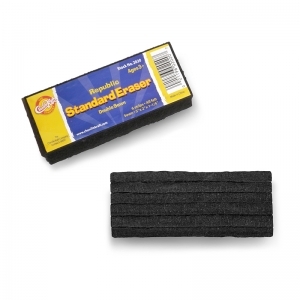 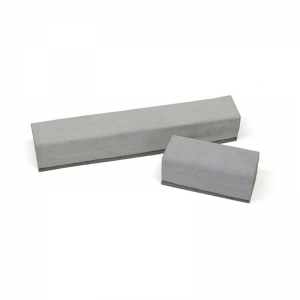 This eraser has 6 black felt strips that are double stitched to a strong felt backing. Retains its shape and absorbs more chalk dust. 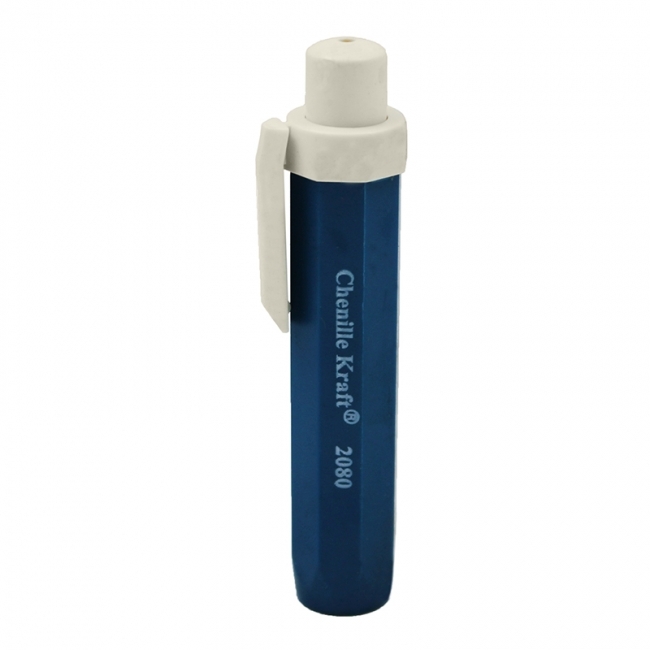 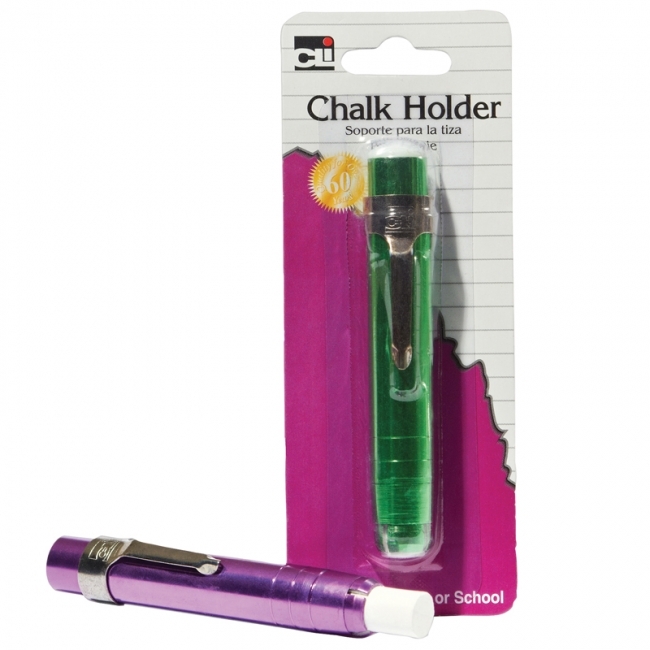 5" x 2" x 1-1/4"
Plastic Chalk Holder This comfortable cushion gripped holder has push button action to release and store chalk. 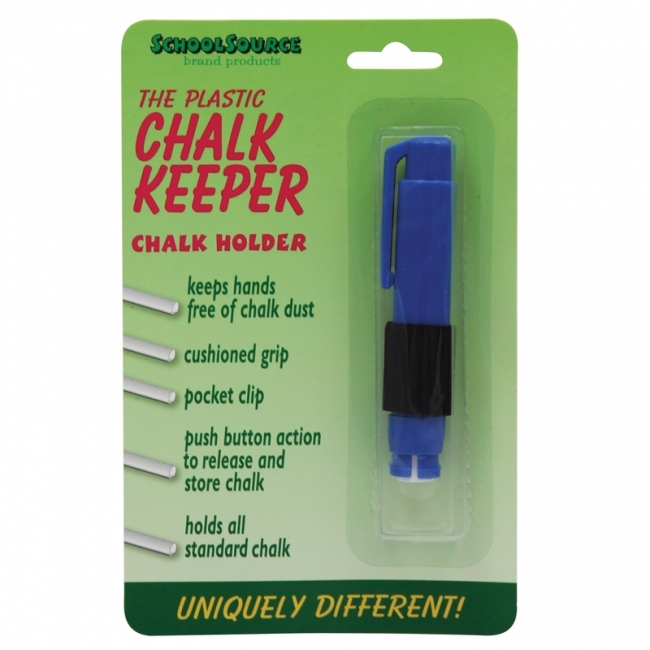 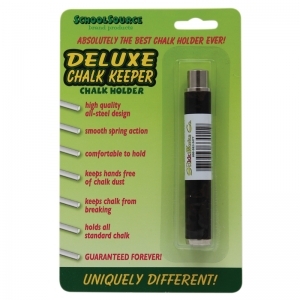 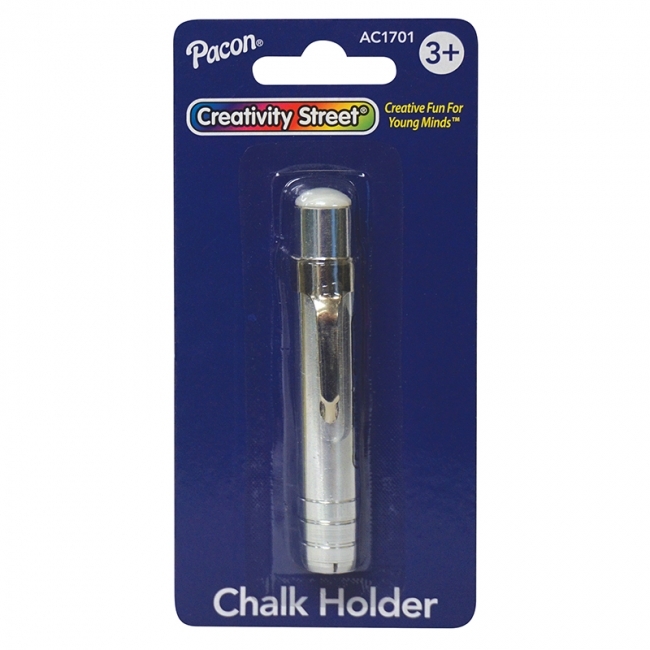 Includes a convenient picket clip and holds all standard chalk. Blue.